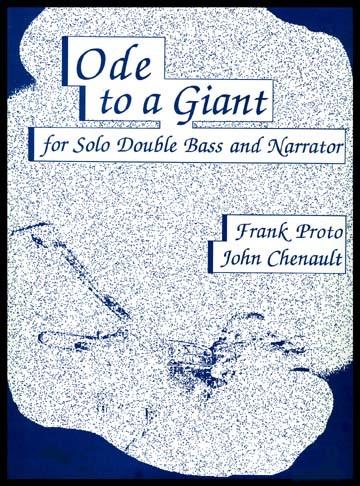 A very unusual combining of music and poetry, Ode to a Giant was the first collaboration of Frank Proto and John Chenault. Ode may be performed as a solo double bass piece without the text. However to take full advantages of the possibilities of this work. a skillful narrator (actor) should combine with a bassist who can improvise and play equally well in the legit world. Ode to a Giant is dedicated to Dizzy Gillespie and is an ideal companion piece to Proto & Chenault's Mingus - Live in the Underworld. A recording is available of this work.